Why do we do the things we shouldn't do? Why do we engage in behavior that we know will in one way or another hurt someone else? While there seems to be as many reasons for doing what we know is wrong as there are wrong things to do, I believe that one thing that motivates us is loneliness. 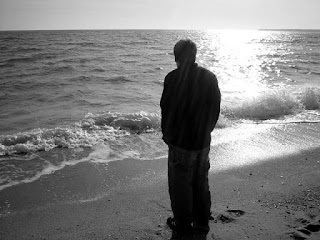 Loneliness is a feeling of separation anxiety that results when we sense disconnection from another person or group of people. We've all felt it at one time or another; it's part of our human condition. In and of itself, loneliness is not a sin. But if it is left unchecked, it can lead to sinful behavior. For example, our culture tells women and men that if they do not have "someone to love" they are incomplete. In order to try to fit in, they do whatever they can to meet -- singles groups at church, singles bars, online dating services, on the job romances, wherever. They fill their iPhones with phone numbers in order to try to fill the void of emptiness they feel. But too often it doesn't work. Another example that comes to mind of loneliness leading to sinful behavior is when teens and even pre-teens feel that they are not receiving acceptance at home. Performance at school suffers, they start skipping class, and start hanging out with the wrong crowd. They're challenged by peer pressure to fit in, and in their deep desire for a sense of family they commit crimes - sometimes daring criminal activity - in order to impress the older gang members. Or the married woman whose husband stays late at work, only to come home and work some more. Even in what's supposed to be an intimate relationship, she's lonely. The craving for affection is replaced by a craving for alcohol, even to the point that her own children lose respect for her. Of course, not all cases of loneliness result in these kinds of behavior. There are constructive ways of coping with feelings of disconnection from others. First of all, acknowledge your feelings. As I stated earlier, we all feel lonely from time to time. It's not a sign of weakness. It just means you're no different from anyone else. Next, reconcile yourself to God. God has never intended for us to live life alone. He created us to be in a relationship with Him, and reconciliation with the Father comes only through a relationship with Jesus Christ. Remember the promises of God. Psalm 23 tells us that even though we may be walking through the valley of the shadow of death God is with us. Even when it seems even the faintest pilot light of hope has gone out, there is no despair too deep where He can't reach us. Build relationships with people who you can laugh with, pray with, people who just "get you." Seek out godly people. Be cautious about ungodly relationships; they sometimes make loneliness worse. And don't rely too much on one person. He or she will eventually let you down. Lastly, get your eyes off of yourself. Here's a newsflash: You are not the totality of life. Jesus Himself came not to be served but to serve (the night before He was crucified he was washing the feet of his disciples). There's something that you can do to make someone's day better, so go out and do it. There are some separations take extraordinary amounts of healing. Feelings of loneliness will often not disappear overnight, and sometimes not completely at all. But we need not allow our emptiness to lead us to filling our God-shaped hole with the unholiness of sin. Drawing on God's presence, Jesus' promise to never leave us, and the comfort of the Holy Spirit will help to see us through. Awesome post. Pain can be the everpresent thing that some people dont learn how to shake. God bless friend from ISaac. How are you?